An Ancient Brewer In the civilizations of ancient Sumeria and Egypt, the important task of brewing beer was usually the domain of women such as the one depicted in this Egyptian statue.The figurine dates from the period known as the Old Kingdom and is almost 4,500 years old about 100 years younger than the Great Pyramid of Giza. As we have just seen, the development of methods for manipulating DNA has given us the ability to perform experiments that reveal the details of life at the molecular level. But in addition to their use as research tools, these methods are being used for human benefit. Biotechnology is the use of living cells to produce materials useful to people, such as foods, medicines, and chemicals. People have been doing this for a very long time. For example, the use of yeasts to brew beer and wine dates back at least 8,000 years, and the use of bacterial cultures to make cheese and yogurt is a technique many centuries old. For a long time, however, people were not aware of the cellular bases of these biochemical transformations. Normally called sorghum beer or opaque beer, this drink already constitutes a considerable part of the diet in many areas, and it will likely become an ever bigger commodity. With so many people moving into the cities, it is even now shifting from an exclusively family enterprise to an industrialized one. 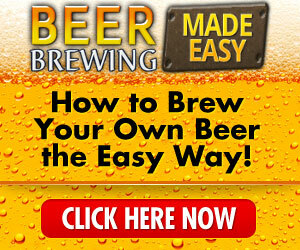 In South Africa, for instance, sorghum-beer brewing is already a highly specialized industry. Annual production is about one billion liters. Barley (Hordeum vulgare) was probably the first grain to be domesticated ancient cultivated fruits found in the Near East have been dated to 10,500 years ago. Initially, barley was preferred over wheat and was used to make flat breads, pastes, gruel, and beer. Barley became less popular after the domestication of emmer and then bread wheat. However, it has remained the grain of choice for brewing beer because of its superior flavor after malting. Malting consists of germinating the grain just enough for it to produce enzymes that break down the starch into simple sugars that yeast can then ferment.